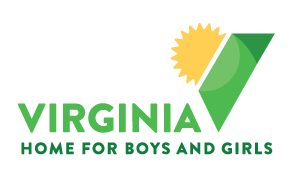 If you would like to make a referral to Virginia Home for Boys and Girls, please complete the online admissions form or contact Christopher Campbell at (804) 270-6566 ext. 135 and he will return your call within 24 hours. Upon receipt of the completed Admissions Application and supplemental documents, you will be contacted to confirm their arrival. The application may be completed online or faxed in with the other supporting documents to (804) 934-9013. Your Admissions packet will be reviewed and you will receive a response regarding appropriateness for placement within 24 hours or by the next business day. If the applicant meets our admissions criteria, a pre-placement interview will be scheduled either on our campus or at the child’s current placement. Following the interview, a decision for placement will be made within 24 hours or the next business day and you will be notified at this time. If your referral is accepted, an admission date will be scheduled at that time. Please note that we do accept Emergency Placements. These placements will be reviewed and addressed on a case by case basis.